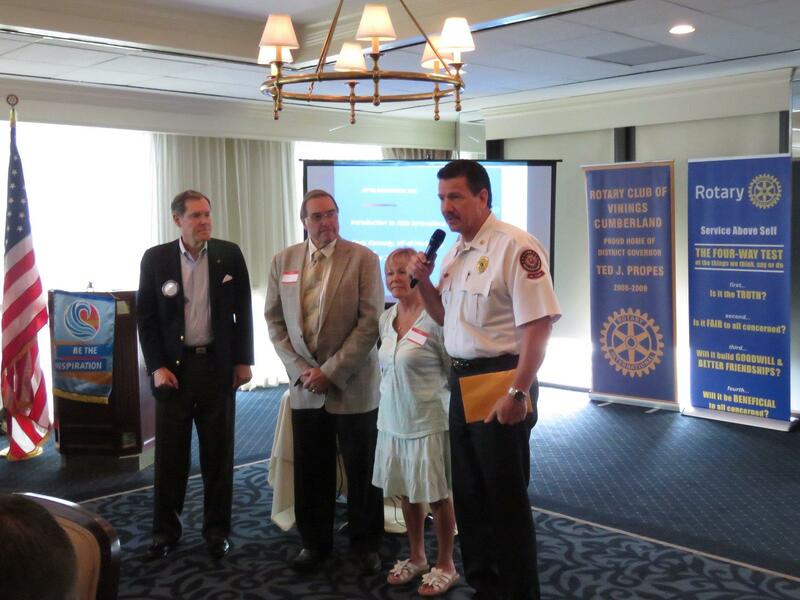 The Vinings Cumberland Rotary Club recently made a generous contribution to the Cobb County Fire Benevolent Fund in honor of the late Vinings firefighter, Stacey Boulware. Stacey suffered a fatal heart attack while working at the station last summer. 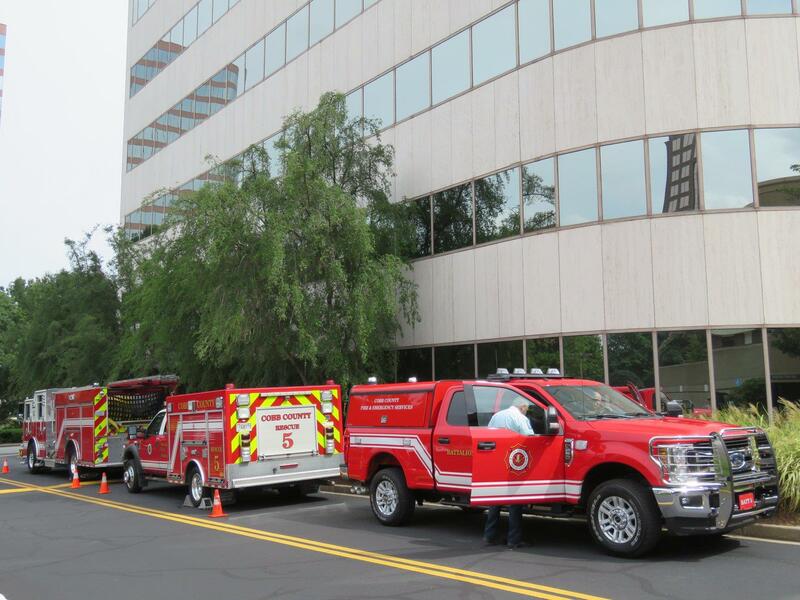 Shift C, Lt. J. T. Gregory, said his team is still mourning the loss of such a popular firefighter who died suddenly at age 46, while all her teammates where trying to revive her. We were honored to have Stacey's parents fly in for this event.